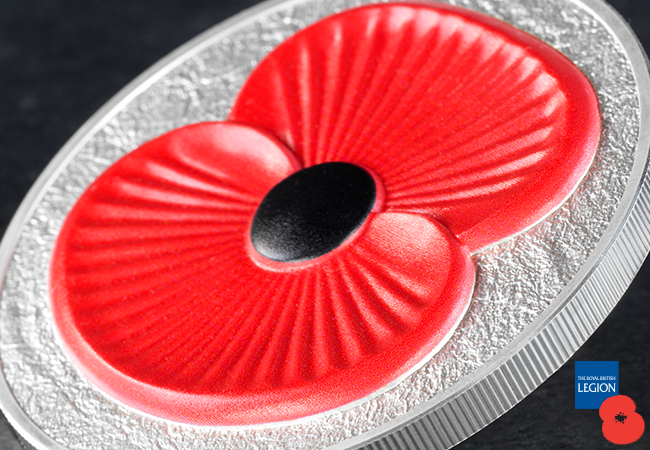 Is this the most collectable Poppy Coin yet? During the last few years collectors of the annual poppy coins, issued in support of The Royal British Legion, have helped raise over £500,000 for the charity to provide lifelong support for the Armed Forces community – serving men and women, veterans, and their families. To mark the £500,000 milestone, a very special Poppy Coin has been authorised for release – The Masterpiece 5oz Silver Poppy Coin. And it is called a masterpiece for a reason. Using cutting edge minting techniques the instantly recognisable red Poppy veritably bursts to life from the face of the coin. With the design standing over 1.6mm tall, this type of relief can usually only be achieved through relatively unsophisticated casting methods. But this is NOT a cast piece. 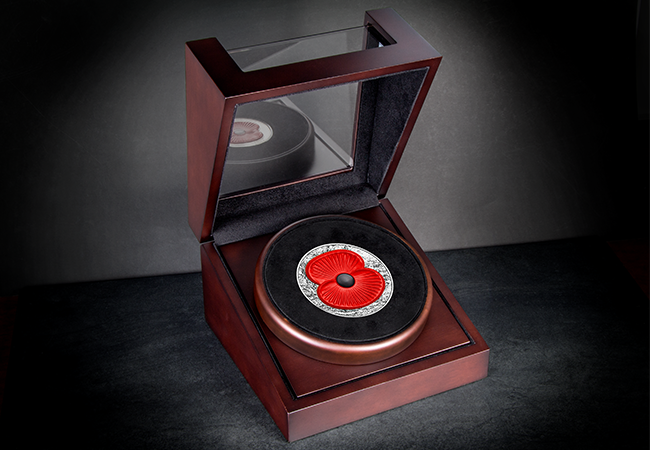 Finally, the colour is applied using a special printing technique to give the coin its famous red Poppy – a perfect fit for a coin officially issued in support of The Royal British Legion. With such a complicated and time-consuming minting process, this coin was destined to have a low edition limit. But with just 450 to be struck, it seems it is likely to be one of the most sought-after Poppy Coins ever. Each coin is carefully placed into a luxury wooden Presentation Case with a viewing window to protect it – befitting the ‘masterpiece’ status. It is especially poignant that this coin has been issued in 2016 – the centenary of The Battle of The Somme. Suffice to say, this new coin would be at home as the centrepiece of any collection – or just a standalone tribute to those who have served and are serving now. The 2016 Masterpiece 50z Silver Proof Poppy Coin is available to own right now from The Westminster Collection, although they are expected to sell out quickly as first editions like this are always sought after. 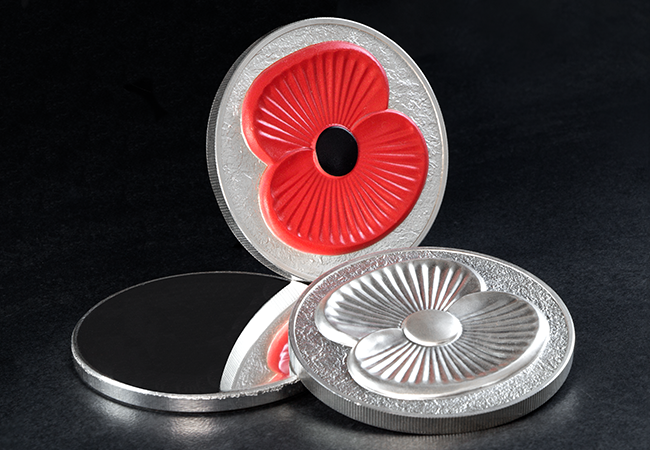 You can add The 2016 Masterpiece 5oz Silver Proof Poppy Coin to your collection today – click here for details. A donation of £49.50 from the sale of each coin will go directly to The Royal British Legion. Hi Gemma, I’m afraid the Masterpiece Edition is now sold out. It was £495. Thanks, Robin.